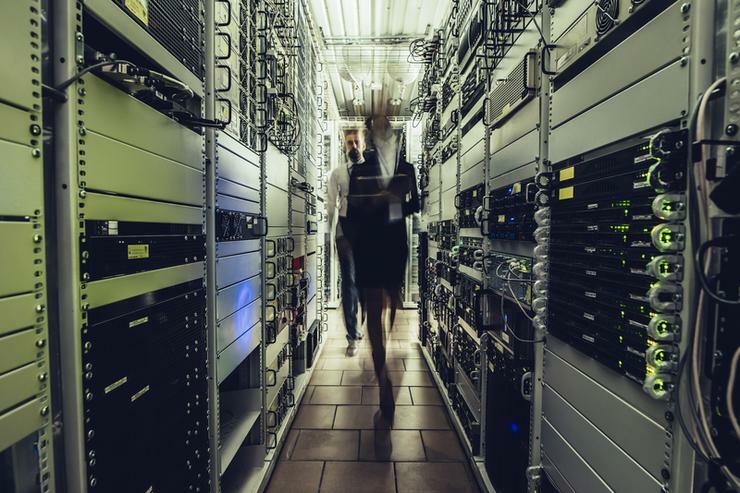 Colocation providers are collectively investing billions of dollars in Australia, demonstrated through enhanced spending by key players such as NextDC and Equinix. According to ARN market observations, investments by NextDC and Equinix alone have surpassed $800 million with 2019 yet to fully kick into gear, which includes both the expansion and roll-out of new facilities. As reported by ARN, Brisbane-based NextDC has invested $470 million during the first half of the 2019 financial year, with a focus on building new data centres in Sydney (S2) and Perth (P2), alongside expanding the number of halls at existing centres in Melbourne (M2), Brisbane (B2) and Perth (P1). Meanwhile, Equinix has so invested $341 million across two new data centres in 2019, spanning Sydney (SY5) and Melbourne (ME2). SY5 represents the global provider’s eighth IBX data centre in Sydney and will be the company's largest in Australia with 9,225 cabinets when ready. Furthermore, ME2 is expected to open by September this year and will be the provider’s fourth in the Victorian capital with an initial capacity of 1,000 cabinets. Maintaining the trend, Brisbane-headquartered Iseek revealed in February the expansion of its Brisbane data centres with a new 6MW facility being built in its Eagle Farm campus, in Queensland. And in November 2018, Digital Realty said its investment in Australia surpassed $1 billion after opening a new data centre facility, Digital Erskine Park II and acquiring a new site. The data centre provider purchased an additional 1.4 hectares of land in Erskine Park near Penrith, which will be transformed into Digital Erskine Park III, adding 12 megawatts of capacity to its Erskine Park Connected Campus when completed. Delving deeper, Macquarie Telecom announced an $80 million investment to build its Intellicentre 3 East (IC3), which will occupy 13,400 square metres. The expansion of its Macquarie Park Intellicentre capacity from 10 megawatts (MW) to 43MW total load was announced in August 2018. Existing Intellicentre 2 has 10MW total load capacity - the first phase of IC3 will involve a new data hall with initial capacity of 16MW, ultimately resulting in a total load capacity of 26MW. Another tech giant making local and global investments was AirTrunk, having completed an $850 million financing process in August 2018 to fund a "major expansion" of its Sydney and Melbourne data centres, as well as locations across Asia Pacific. According to global law firm Norton Rose Fulbright Australia, the financing was set to be the largest by a data centre company in Australia to date, at the time it was first reported. Meanwhile, Data Exchange Networks had to delay the build of one data centre, which cost $7.5 million, by six months. Although Data Exchange claimed “good progress” had been made and all the modules were in place, it cited development approvals as hindering final delivery. A final development approval is expected by the end of February, the company stressed. From a global perspective, the story is very similar. For example, ST Telemedia Global Data Centres (STT GDC) revealed plans to build their largest data centre facility to date in Singapore and their seventh in the region, which is due for completion by mid-2020. The STT Loyang facility at Loyang Way in Singapore is expected to cost is excess of an estimated S$350 million with the construction of the five-storey facility. Meanwhile in September 2018, Equinix entered the final expansion phase of its third IBX data centre in Singapore. Dubbed SG3, the centre when completed will be the largest Equinix data centre in the Asia Pacific region with a total investment of US$78 million. The facility has more than 16,600 square meters and a total cabinet capacity of 5,875 and co-location space. Equinix also announced plans to build its fourth data centre in Singapore, dubbed SG4, with an investment of US$85 million into the project. Apple has also announced its own plans for a US$10 billion data centre, to be spent throughout the next five years. In addition, Digital Realty acquired a long-term ground lease to develop Digital Loyang II (SIN12) data centre in Singapore, which will be the provider’s third facility in the area. The new data centre is expected to be fully operational by the third quarter of 2020, and occupies a land parcel totalling 12,800 square metres. A market study added further weight to the theory, highlighting an increase in mergers and acquisition activity within the data centre space. According to data from Synergy Research Group from January, 68 deals closed within the previous 12 months, accumulating an aggregate value approaching US$16 billion. While M&A deals are climbing, the research showed the total value of agreements that closed in the year dropped off from its 2017 peak, resulting in the total value of M&A activity over the 2017-2018 period was over double the total for the previous two years.